App Smashing is the process of combining content in one or more apps together for a creative and effective outcome. 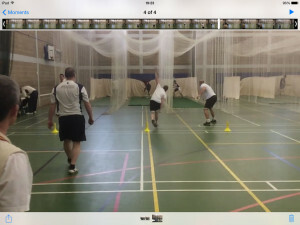 App smashing can make the iPad a powerful aid in sports coaching and other mediums. As any cricket geek knows, the season is about to start. I’ve been playing, and more specifically, bowling, for about 25 years (the less said about my batting the better) and I have a fairly well grooved bowling action. 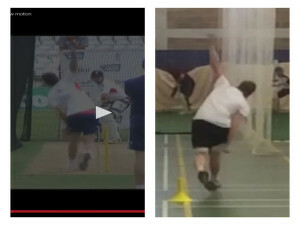 As any sportsperson will know, there is always room for improvement and this pre-season, I turned to my iPad to help me tweek my bowling technique. Firstly, I got one of our coaches to film me with the the Slow-Cam app. This is a very easy app to use. Simply start filming, hold down the slow mo button for as long as you need it and voila, you have some slow mo video sent to your Camera Roll. 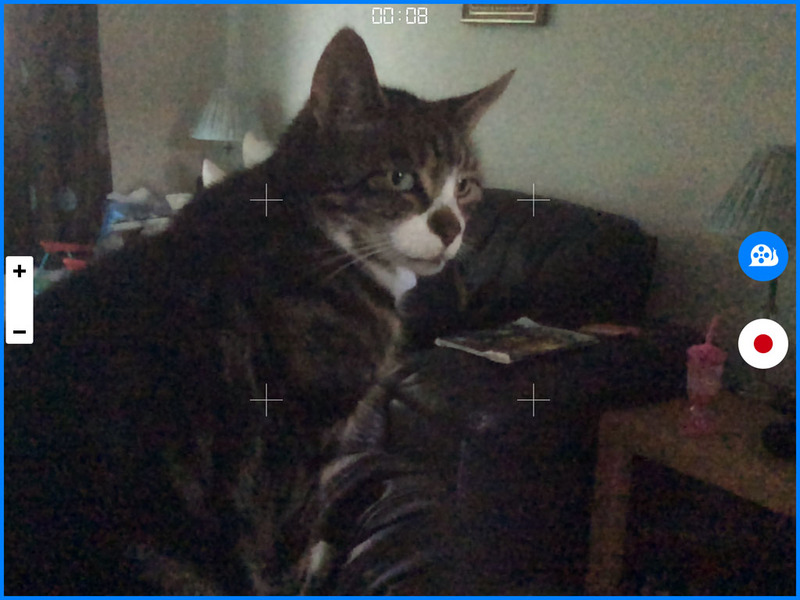 The app has a glowing blue border around the screen to signify you are filming in slow mo. This was particularly useful as the coach who filmed me wasn’t hugely confident with the iPad, but when he saw the visual indicator of the blue border he knew he was filming correctly. 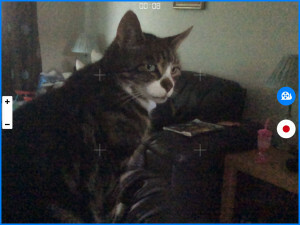 The Slow-Cam app provided some interesting material for me to review. Combined with the native video player in the Camera Roll, I could go frame by frame and really pick out some technique issues in my bowling action. What I really needed though was someone who is actually good to compare my technique to. 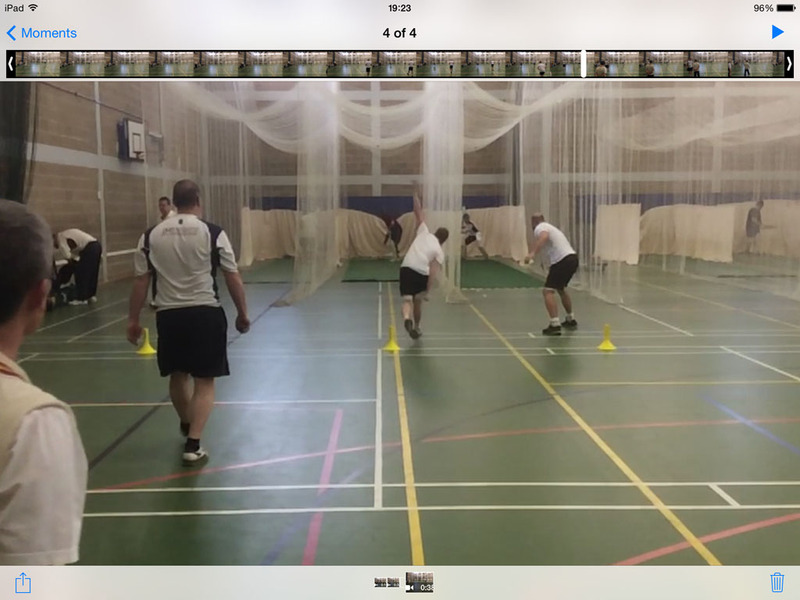 From here I turned to the YouTube app and I found a video of England legend Jimmy Anderson bowling in the nets, co-incidentally from exactly the same angle as I had been filmed from. I took a screenshot of the point in the action I wanted to compare with my own. However, how best to compare actions? Flicking between a screenshot of Jimmy Anderson and a screenshot from me is OK, but difficult to compare both side by side. Enter InFrame Foto. Admittedly there are tons of apps like this on the App Store, but I used it to place the screenshots of me and Jimbo Anderson side by side. From there, I exported the picture to Sktich and I could quickly annotate a couple of areas I thought I could adjust and then send it on to the other coaches to have a look at (see picture at the top of the page for Skitch additions). After all of this iPad based app smashing sporty goodness, I noticed that my front foot was pointing in the opposite direction to the international player I was comparing my action to. A tiny adjustment, but it seems to have helped (we’ll see for sure this Saturday). There is no way I would have noticed this tiny adjustment without using these different apps, and it is this sort of thing I really love about the iPad and the apps developed for it. It takes something that in the past was quite difficult to do, ie slow motion, and then gives you the tools to analyse the filming against world class practitioners. Other notable mentions are the excellent Coach’s Eye or Coach My Video (CMV) which offer side by side video and annotation. I have seen the swimming coach at our school use these apps with amazing effect by playing side by side video of the student diving into the pool, and comparing it with video of a professional swimming race. He can then annotate what that student’s body position needs to be to achieve a pro dive. Observing this use of side by side video and annotation in action is like watching learning accelerated as the student can see exactly what they need to change in their next dive. Slow-Cam app is available here and is $1.99. InFrame Foto app is available here (iPhone app) and is $0.99. Skitch app is available here and is free. Coach My Video app is available here and is currently free (for a limited time). Coach’s Eye app is available here and is $4.99. Disclosure: All of the apps mentioned in this post were purchased with my own hard earned money.